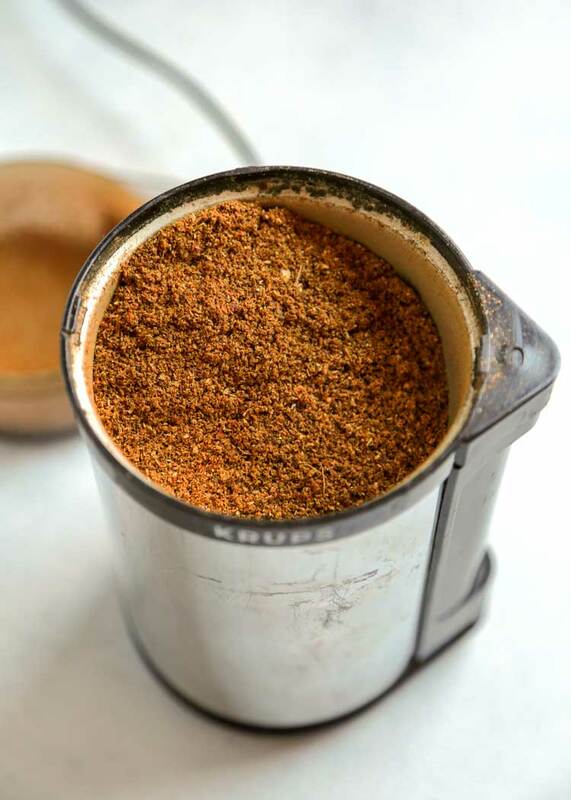 Let me show you how easy it is to make my Malaysian Curry Powder for that Far East classic Malaysian Curry used most often in curry sauces and satays. You’d be surprised that most of the spices are already on hand in your pantry. 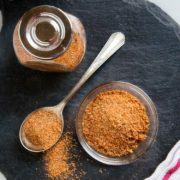 What we have here are about eight different spices that get lightly toasted in a hot, dry skillet and then are ground into a powder. 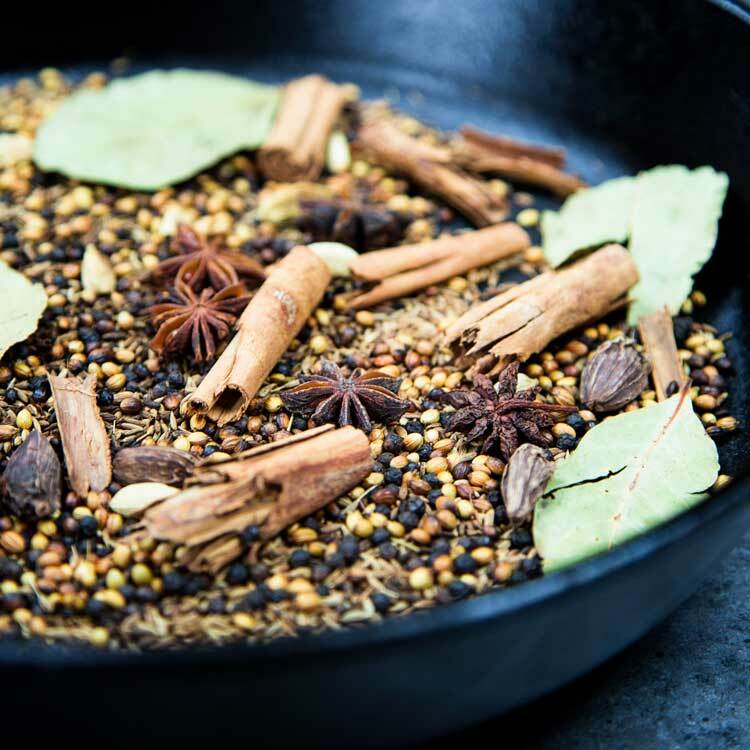 This spice blend of coriander seeds, cumin, fennel, cinnamon, cloves, black peppercorns and dried red chiles are the perfect match. The cardamom pods are probably not something most people have on hand, but are easily found in most spice aisles and ethnic food stores. 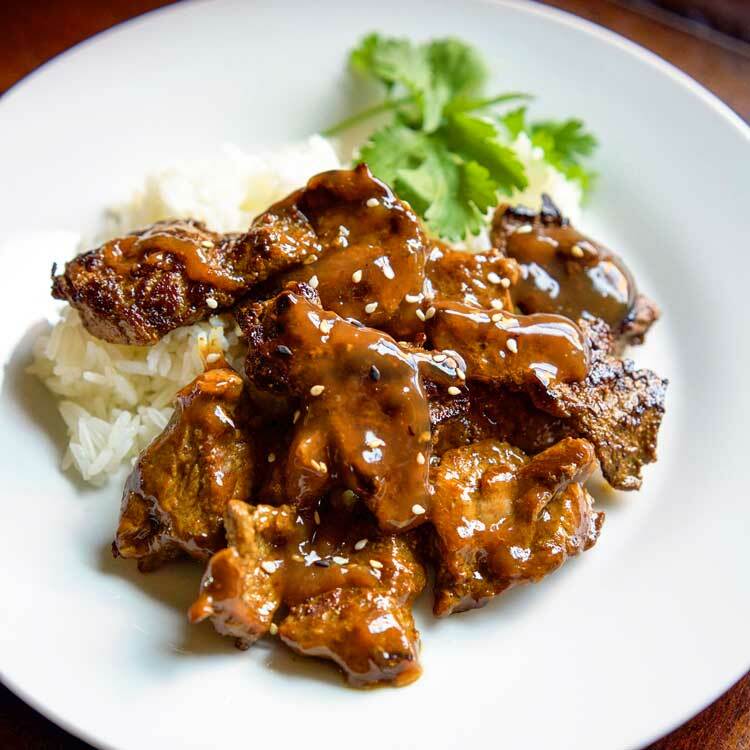 The heady aroma is mouthwatering and mixes well when used with coconut milk in a curry sauce like for my Malaysian Beef Short Ribs or in different satays. 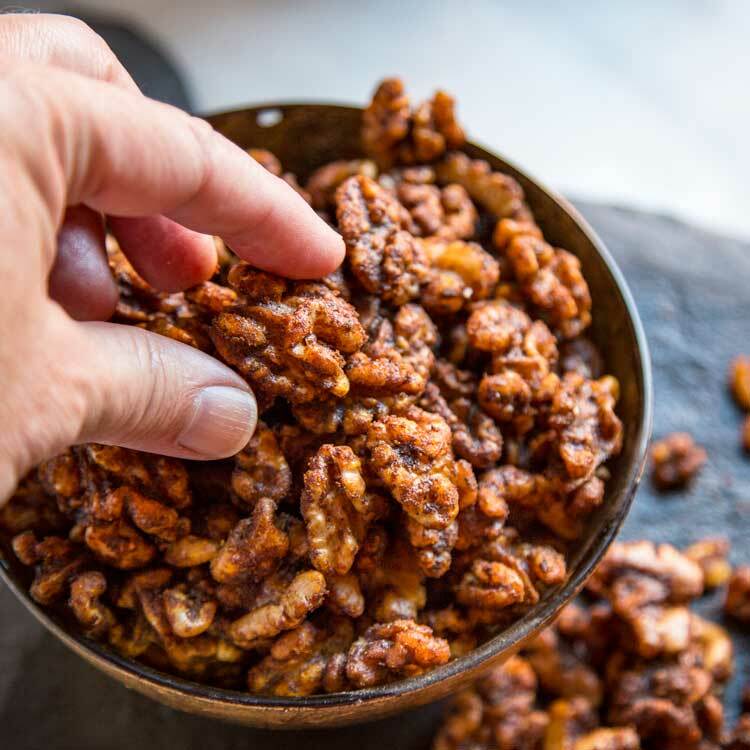 For other exotic spice blends a dishes using them try my Lebanese Spice Blend, Garam Masala Spice Blend, Moroccan Seven Spice Blend, Ras el Hanout Spice Blend or these Smoky Spicy Walnuts, Turkish Roasted Chickpeas, or Moroccan Slow Roasted Pork. Enjoy! 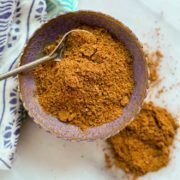 Let me show you how easy it is to make my Malaysian Curry Powder for that Far East classic Malaysian Curry used most often in curry sauces and satays. 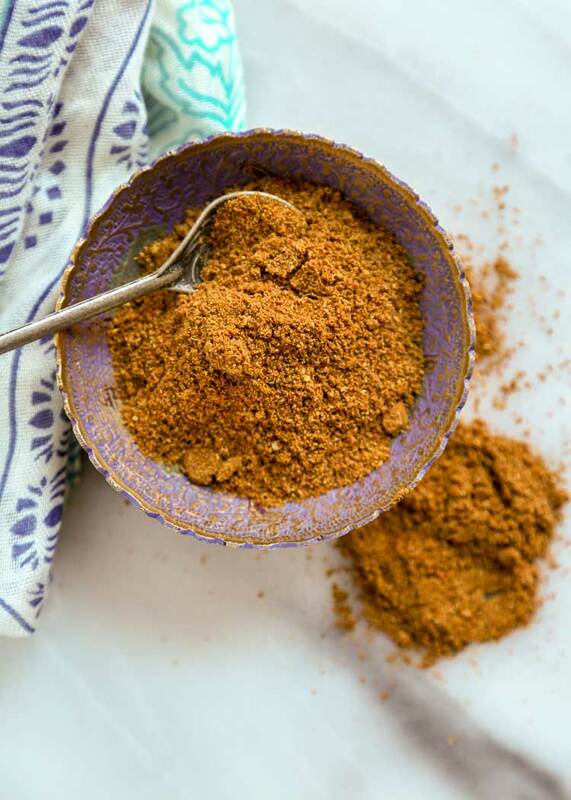 You’d be surprised most of the spices are already on hand in your pantry. 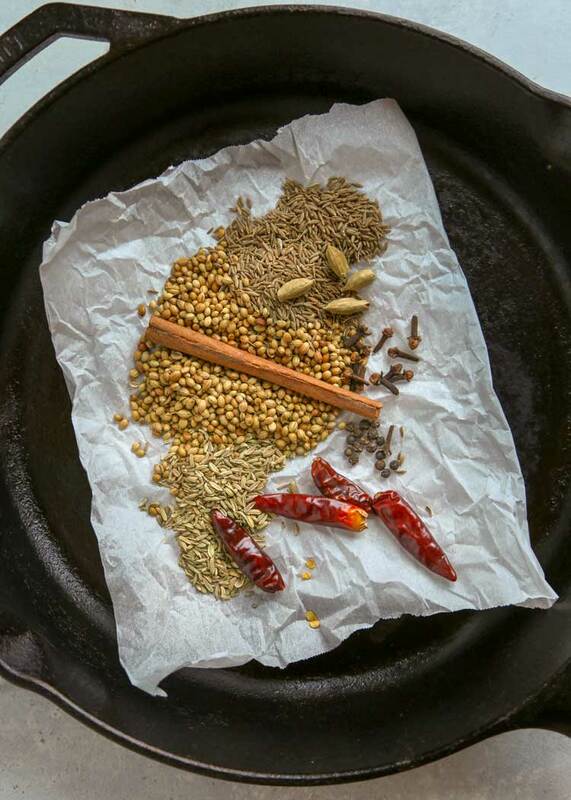 Toast the whole spices in a hot, dry skillet over medium heat for 2-3 minutes until fragrant. Grind to a powder in a grinder or mortar and pestle. Store in an airtight container. This makes about a third of a cup.